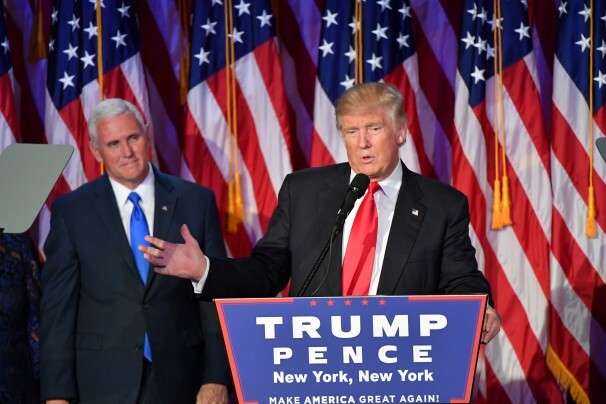 On November 8, 2016, entrepreneur Donald J. Trump became the President-Elect and early on Nov. 9, President-elect Donald Trump addresses his supporters gathered at Trump Tower, New York. Magnet, President Donald J. Trump Inauguration Magnet, Presidential Oath of Office, 4.5" x 1.6"
Magnet, President Donald J. Trump Presidential Inauguration 3" x 2", 2" x 3"
Magnet, President Trump & Vice President Pence Inauguration Panorama Magnet, Photos of Trump & Pence, President Seal, U.S. Flag, Inauguration Banner, 4.5" x 1.6"